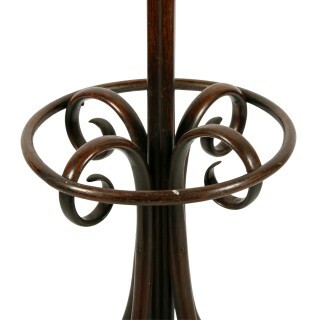 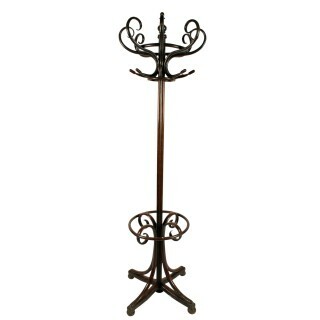 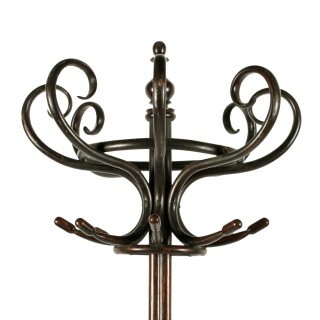 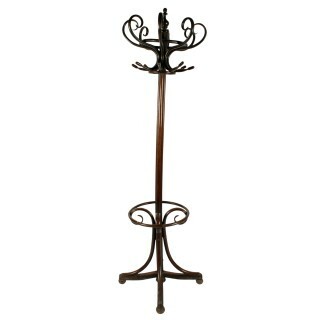 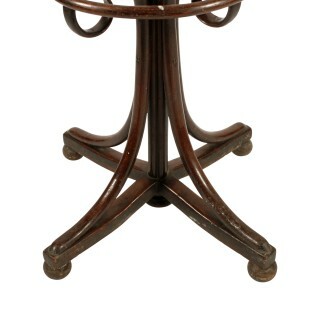 A late 19th to early 20th century continental bentwood hat or hall stand. 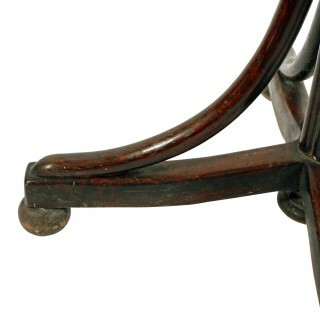 The stand has an ‘X’ frame base lifted on low bun feet and four scroll supports for the circular stick stand. 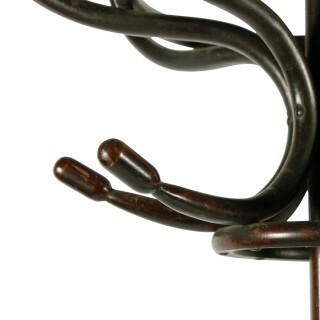 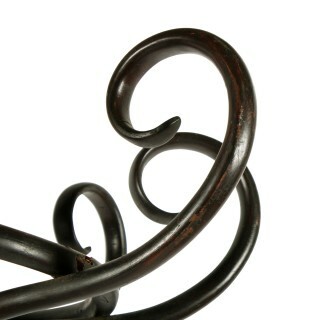 The centre stalk comprises four pieces of turned wood bound together and at the top eight figure ‘S’ coat hooks with circular supports.